When bitcoin cash first forked from bitcoin in August, it seemed like just another altcoin that would just go unnoticed. So far, bitcoin cash has been the exact opposite, continuing to set new all-time highs and becoming the third largest cryptocurrency by market capitalization. From its initial price around $300 to the current market price of $1,578 at the time of publishing, the cryptocurrency has already recorded a 426% growth rate. On the 12th of November, it reached an all-time high of $2,800 from under $700 just two days earlier. This price surge proved that bitcoin cash did not only have potential to go higher, but that it was considered a viable alternative to bitcoin. Remember, this price surge in bitcoin cash coincided with the suspension of the bitcoin hard fork segwit2x due to a lack of consensus by developers and miners. Now that bitcoin cash has already established its position in the cryptocurrency industry and even started getting some traction at online cryptocurrency casinos and other web services, the question remains to be what will happen to it in the future. On this point, there are varying forecasts and predictions, but everyone seems to agree that it is trending upwards. One of the most vocal and trusted voices in bitcoin is Ronnie Moas, who has accurately predicted bitcoin’s price surge thus far. In his prediction, he expects bitcoin will go up to $15,000 or maybe even $20,000 in 2018. In his predictions on bitcoin, they include bitcoin forks like bitcoin cash and bitcoin gold. This means that with the 50% growth he expects in 2018, bitcoin cash too may appreciate to the $2,000 to $2,500 range. Not only can it hit this target in 2018, but it may even surpass it. 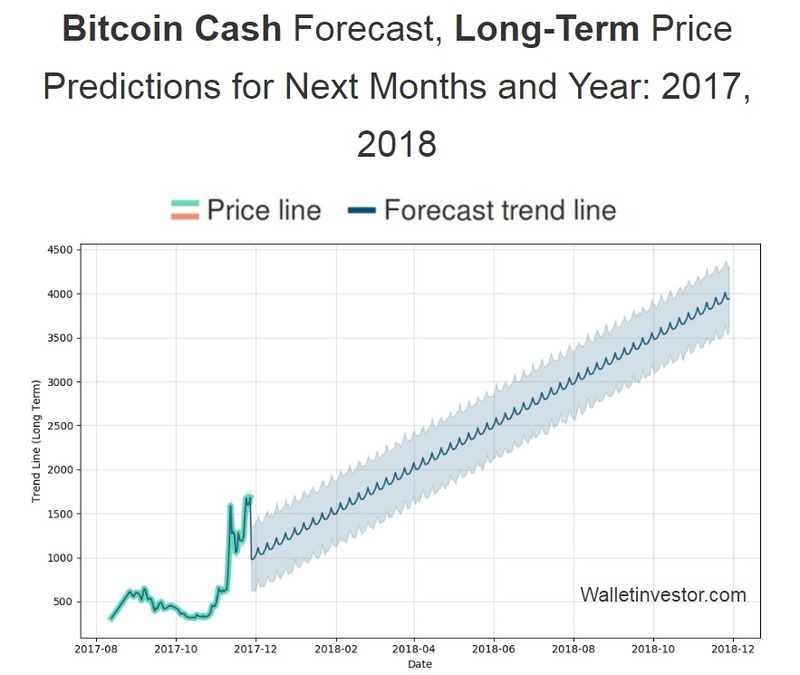 In a prediction chart by Wallet Investor, they have extrapolated the bitcoin cash chart to forecast a $4,500 price by the end of 2018. Of course, such extrapolations are not completely reliable since cryptocurrencies are still very volatile. 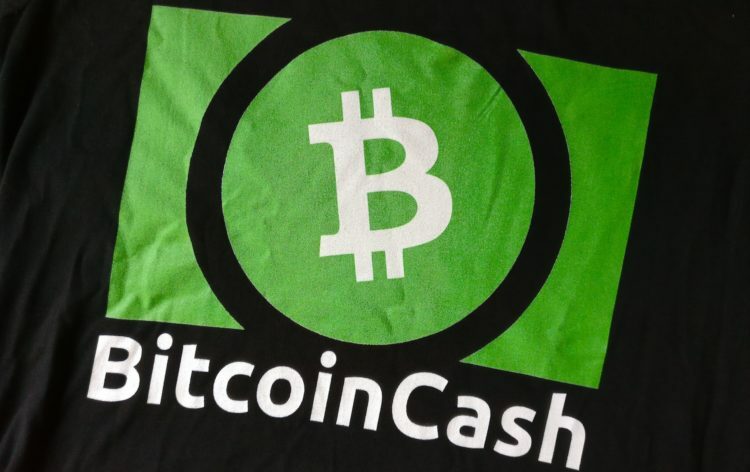 Nevertheless, it raises the bar for bitcoin cash above the more conservative forecast by Ronnie Moas. From a technical perspective, it is still trending above both the 50-day and 130-day moving averages. In fact, the 50-day SMA seems to be holding up the price of bitcoin cash. Based on this reading, a $2,000 price tag may be very likely at the start of 2018, after which we may be heading toward the $4,000 – $5,000 range by the end of 2018. However, what really matter are the fundamental factors, and these too are leaning positively toward bitcoin cash. Recently, it has started to be accepted for funding ICOs alongside Ethereum and bitcoin given its lower price tag. This will definitely generate demand for bitcoin gold, and push its price higher in 2018. Besides, bitcoin cash has been making its own improvements to establish itself as its own cryptocurrency. Already, a hard fork has been successful, and they have fixed an error that caused many losses when users sent BTC to BCH addresses. All signs show that bitcoin cash is about to become its own established cryptocurrency in 2018, and that means it will grow in value. It will definitely reach $2,500 in my opinion, and perhaps even more. That is already about a 67% growth rate, and perhaps even more. Thus, this is the perfect time to get in on bitcoin cash in preparation for the new year.